Look on any serious off-road Jeep® and you will find Prothane polyurethane suspension bushings. 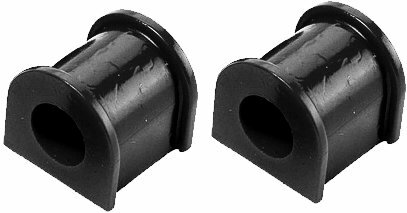 Unlike common rubber bushings, which lose their shape and get softer over time, self-lubricating urethane bushings last and last. Polyurethane is not susceptible to the elements that destroy rubber such as oil, road salts, ultraviolet rays and dry rot. These specially formulated bushings allow your sway bars to work to fullest potential 100% of the time. Is this price for a pair?